From Arthritis to Wartime 2013 Silkscreen printing performance during Berliner Liste, Fair for Contemporary Art, in which 50 words with 'art' in it are stapled on the wall with letters printed on cardboard found at the garbage. 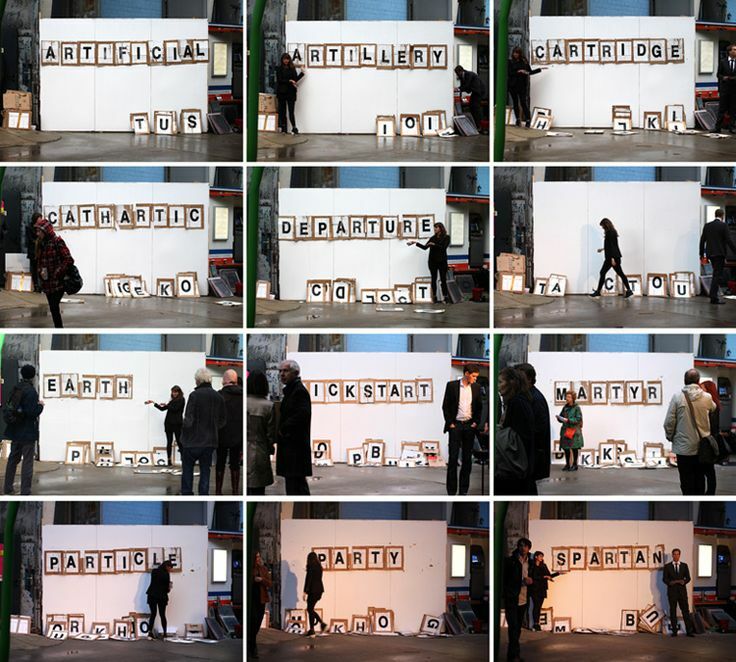 The letters are printed live at the location of the performance – a wall next to the entrance door to the fair. Photos: Sven Cishmack.